Anyone who has a wild owl casualty in their possession has a duty of care towards it, and when passing a bird on the giver has a duty to ensure that they pass it to someone who follows ‘good practice’ (Animal Welfare Act 2006). However, because there is currently no requirement for wildlife rehabilitators to be registered and very little legal control it can be extremely difficult to choose the best recipient for the owl in your possession. 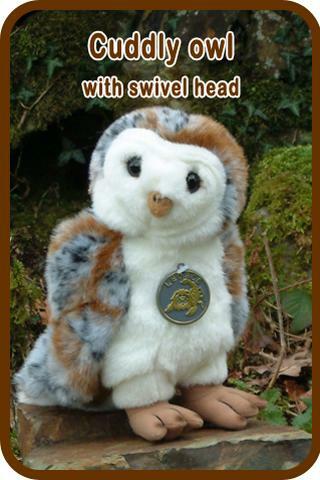 Obviously the perfect recipient for the owl in your care is an owl specialist with many years’ experience, but these are few and far between. We have compiled a Barn Owl Directory of local rehabilitators who have some experience of treating owls, but often the best you can do is to find the most suitable person within delivery or collection distance. Many wildlife rehabilitators specialise in particular types of wildlife (e.g. hedgehogs or seabirds) and do not have a great deal of experience with owls; they may not appreciate the different requirements of different owl species. Asking appropriate questions can help you make the best choice. • Do you work closely with a vet? • Roughly how many owls have you treated? • Roughly how many of those were released? • Do you release them where they were found? • Do you just let them go or do you set up a sectional or mobile release aviary at the release site? 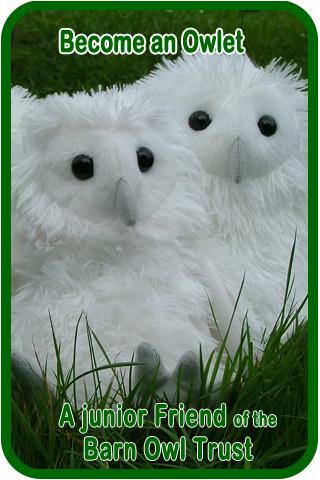 • Do you have an aviary available for the owl to recover in? • How long is the aviary? All rehabilitators should work with a vet when needs arise. Someone who is not used to dealing with owls may not know about the requirements of the different species. Good rehabilitators will be releasing between 30 and 50% of the owls they receive. 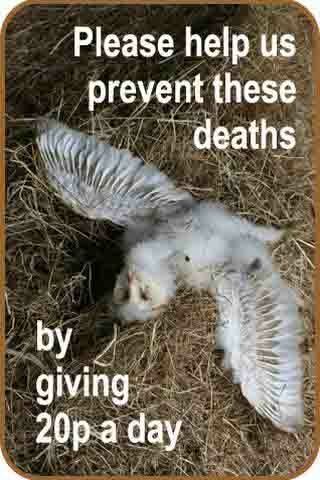 Adult owls should always be released in their home range (or territory) but youngsters can be released elsewhere. In the case of Barn Owls, using a release aviary is better than just letting birds go. An aviary suitable for keeping an adult owl undergoing rehabilitation should be at least 6 metres (20 feet) long (arguably less for a Little Owl). The Royal College of Veterinary Surgeons (RCVS) website has a search facility where you can enter your postcode and get an extensive list of vets in your area. Clicking on one gives you the details of what they treat and their phone number. The site also has an advanced search facility that enables you to search for wild bird specialists. Non-internet users can telephone the RCVS to obtain the same information on 020 7222 2001. Another option is to telephone your nearest vet and ask if they are experienced with wild birds or can recommend a vet who is. If this draws a blank, contact your nearest wildlife rehabilitator and ask them which vet they use. The Barn Owl Trust has compiled a directory of local Barn Owl contacts which can help to locate an owl carer in your region. 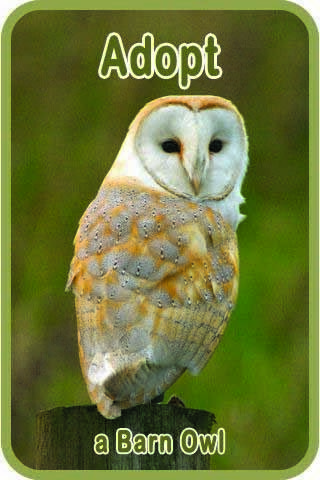 Look under ‘Barn Owl Carers’ within the Barn Owl Directory. If none are near enough, try contacting the nearest one and ask if they know of a suitable recipient in your local area. 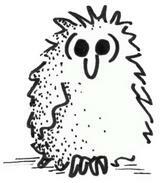 HelpWildlife.co.uk provides directory of wildlife rescue centres in the UK. Also, the British Wildlife Rehabilitation Council (BWRC) website provides contact details for the major rehabilitation centres across the UK, including the Barn Owl Trust. Our links page also provides useful contacts. Non-internet users can look under ‘animal welfare societies’ and/or ‘conservation organisations’ in the Yellow Pages or ask a local vet if they know of a suitable person to take the owl. Another possibility is to phone Raptor Rescue who will recommend one of their ‘accredited rehabilitators’ or a bird of prey rescue centre in your area. Failing this, they may recommend a falconry/bird of prey centre, a falconer, or someone who just keeps birds. If they do not have anyone in your area (not all of the country is covered) then they will give advice on how to make the bird comfortable and advise it is taken to the nearest vet. RSPCA (0300 1234 999) (England & Wales only). SSPCA (03000 999 999) (Scotland only). USPCA (028 3025 1000) (Northern Ireland only). However, please be aware that calls to these National Helpline numbers are currently answered by call-centre staff who primarily deal with enquiries concerning domestic animals. 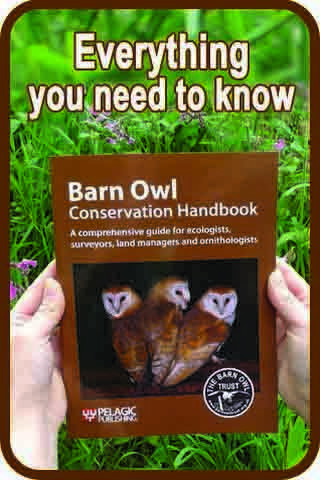 Experience shows that they sometimes have difficulty tailoring their advice to the needs of Barn Owls. Staff in their wildlife centres are usually very well-informed, but direct phone numbers for them can be hard to obtain. The RSPCA and SSPCA do collect injured wild birds, but their drivers cover large areas, are usually very busy and are sometimes unable to respond as quickly as they would like to. As it is based in Devon, the Barn Owl Trust normally only receives Barn Owls found in southwest England; across the rest of Britain casualties are received by a very wide range of independent rehabilitators. The information on this website is extensive and by following the navigation system or the links you should be able to check the owl for injuries, determine whether to pass it on, and get help. During normal office hours you can get one-to-one advice by calling us on 01364 653026. Outside normal working hours, please see our nationwide list of vets/rehabilitators on our Barn Owl directory. Picking up a live owl. Should I pass it on? Did you know? In an RSPB poll; Barn Owls were voted the most popular farmland bird in Britain, and the most popular British bird second only to the Robin. To find out why, watch our 3-minute video.